Please call us with any question you may have as well as information about contracts and when the puppies will be ready to go to there new home. We will only sell to families that are looking for an indoor dog. It is very important to us that all of our dogs go to exemptional homes. We are planning a litter that will be ready to go to their new families around April or May. Lexi and Charlie are the parents, if you look at our FB page "nikki's goldens" you can see videos of their last litter . 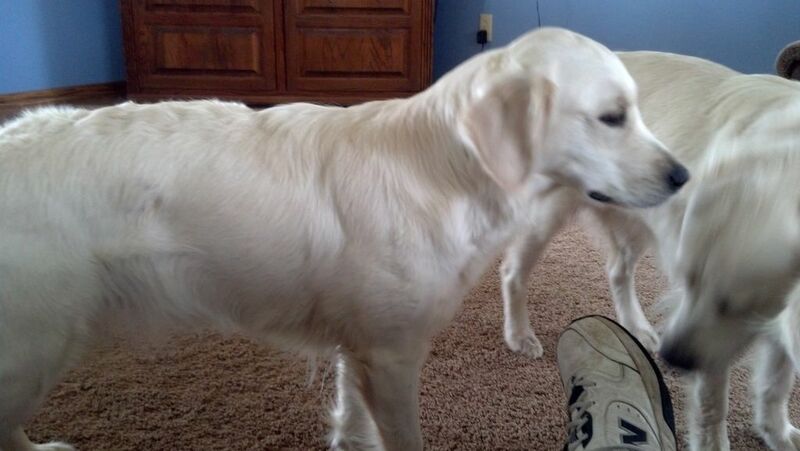 We are a breeder of AKC Registered Full English Cream Colored Golden Retrievers with championship bloodlines, our goal is to provide good families with exceptional canine companions. All of our puppies are raised right in our home so that we can provide as much love and attention that we hope their new families will provide. We have added two new members to our family Lexi, and we also have our new stud dog Charlie. 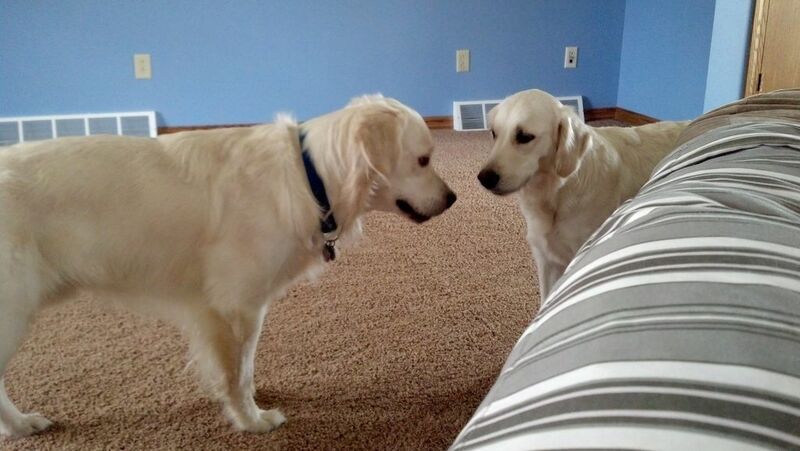 Both are very good looking dogs with wonderful personalities. See the links at the top of page for their pictures. Call to set up a time to come visit and meet all the puppies. The goal of our breeding program is to provide you with a new member to your family not just a pet. That is why all our puppies are raise in our home and are given as much love and attention as we hope their new families will give. The goldens that we breed are called English cream which is a much lighter golden and they tend to be very calm and relaxed dogs. Puppies shots will be up to date and they will be de-wormed when they go to their new homes. The puppies will visit the vet at 6 weeks of age so you can be sure of their health. We have a limited two year health guarantee so if you think you could be a match for one of our puppies please give me a call. I would love to talk puppies with you and arrange a time when you could come and visit.